Every year, warm weather inspires people to get outside and start gardening. People who have never raised a plant before start researching what they can grow, and those who are more experienced get to put their plans into action. Something about being out in the sunshine and growing something with your own two hands is thrilling, and you might be catching on to this all too popular gardening bug. You can do all the research you want on what kinds of plants to grown and how to take care of them, but when it comes down to it, you need to know how your garden will be designed before you can start digging. This might seem a little overwhelming to new gardeners, or even routine for people who have raised successful gardens in the past. Finding the right design for your garden might be all that’s standing in the way of you and the planting you want to do. Check out some unique ways to design a garden that you probably haven’t considered. Creating something new and bold to look at will give you even more pride as your plants start to bloom in the coming months. Planting by what season your plants will grow best in is a great way to design your garden if you plan for it to thrive year round. Like a seasonal clock, there will always be one section that’s growing while others may be waiting for their next warm spell. Larger summer sections could grow beautiful vegetables while a winter section could be more focused on greenery. It’ll help you maintain each part individually while keeping your garden alive all year long. One of the worst feelings is having your plants finally start to bloom only to realize that some are too tall, blocking you from seeing the others or being able to easily reach them for watering. Designing your garden by height helps to avoid this issue. Taller plants can be placed back against your fence and the others might look more like a staircase with the shortest plants in front. This way, you’ll be able to see everything easily and maneuver through them like a pro. Some gardens are grown for the sole purpose of looking a certain way or adding flare to a yard. If this is your intent, coordinating your plants by color could pull your whole garden design together. Yards that consist mostly of things like pine straw or mulch can be brought to life with plants that are vibrant shades of green. 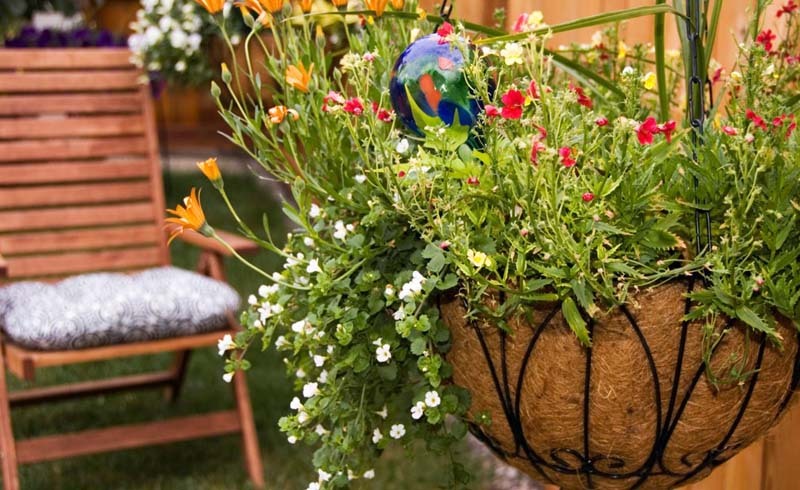 Flowers that have an array of colors could tie in any designs you have on your back porch or around your backyard pool. When you’re trying to grow a garden, you’re going to be in it a lot. Once you get past the initial smells of the fertilizer and soil, you’ll be left with the smells created by your plants in bloom. This is something to think about that not every gardener considers before they start to plant. If your garden is going to be tucked away in a corner of your backyard, it might not matter so much, but if it’s close to the house then it definitely will. During the summer, you’ll probably plan to have people over for a barbecue or enjoy a meal out on your back or front porch. If your garden is close to these spots, you’ll end up smelling it for long periods of time. Some plants you might want to pick out could have an unpleasant odor, so choose which flowers smell the best. They could make or break how you enjoy your garden or even your entire summer. How your garden looks isn’t entirely about what you plant. People often decorate their gardens with things like specific fencing or little touches like a bird bath just to give the space some character. You can find things like this in your local gardening store. Wind chimes and mini water fountains will be on display but they can also cost a lot. Instead, design your garden with antiques. You can find interesting pieces at thrift stores to make your garden have an aged look that will make your plants pop even more. Part of the reason why people garden is to have something nice to look at, so why not enjoy your garden with the next step forward? If you have a space large enough, you should think about working a sitting area into your garden. Whether it’s an antique bench or chic outdoor chairs around a fire pit or grill, you’ll love being able to sit between the plants you’ve worked so hard to grow and have some time to admire them. Getting to start your garden is an exciting time of year! There’s so many plants to consider growing and new types that you can challenge yourself with. Will your garden be meant to grow food you can eventually enjoy or be specifically for looks? There’s no wrong way to go, but it could all go downhill fast if you don’t think about how you want to design your garden before you head outside with your gardening tools. Rushing ahead with your gardening could result in a big mess. Some plants won’t grow well next to each other or one may overcrowd the other and make gardening difficult. You don’t need to be a professional designer to make your garden look and grow well. All it takes is a few minutes of thinking before you know what to do next. Consider what you’re growing and what the purpose of your garden will be before planting. Think about what you want to decorate with and how often you’ll be around it. 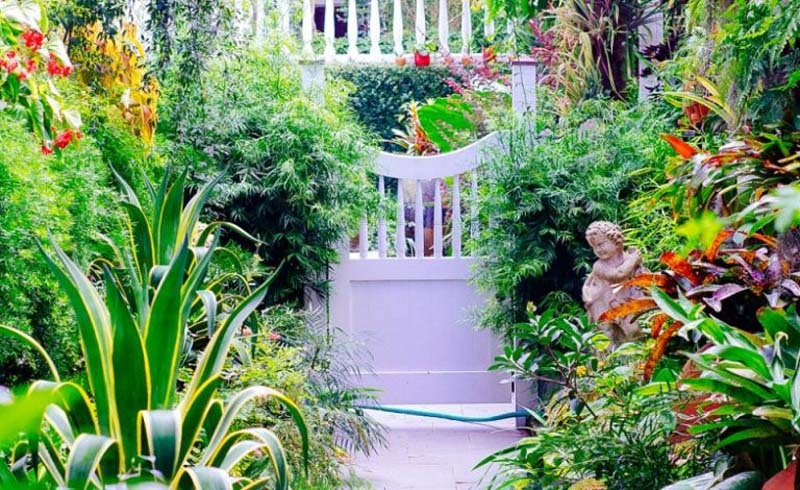 The answers to these questions will lead you to the perfect design for the garden of your dreams, so you can finally get outside and start planting.